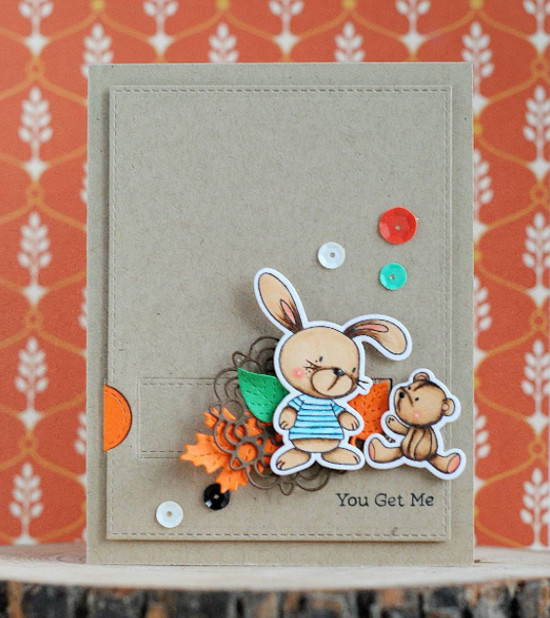 Anna's sweet card featuring the Snuggle Bunnies stamp set has a pretty fall feel to it. And what a wonderful job she did with the coloring! The London fog is rolling in on this melancholy card design from Anastasia. 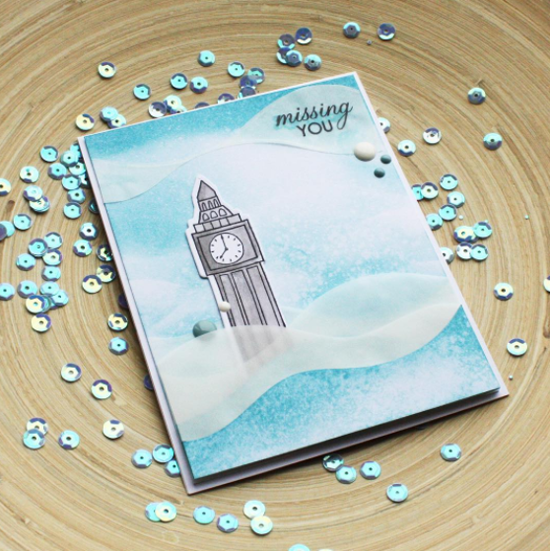 Her use of Big Ben from the London Mouse stamp set paired with vellum and a miss you sentiment are simply lovely. Daniela submitted this happy little card to our 55th Color Challenge. That beast just couldn't be cuter! 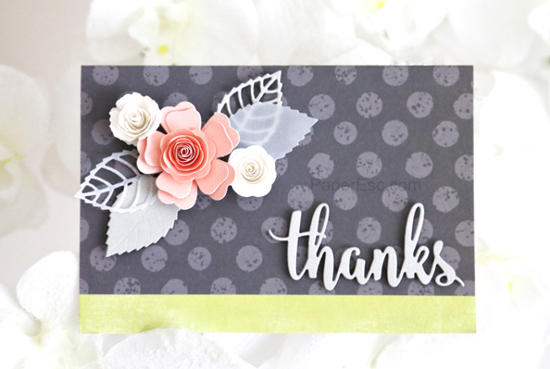 In what appears to be Liann's very first Instagram post, she shared this absolutely LOVELY card incorporating our Thanks & Hello, Mini Royal Roses, Mini Hybrid Heirloom Rose (retired), and Layered Leaves Die-namics. This color combination is quite delightful! 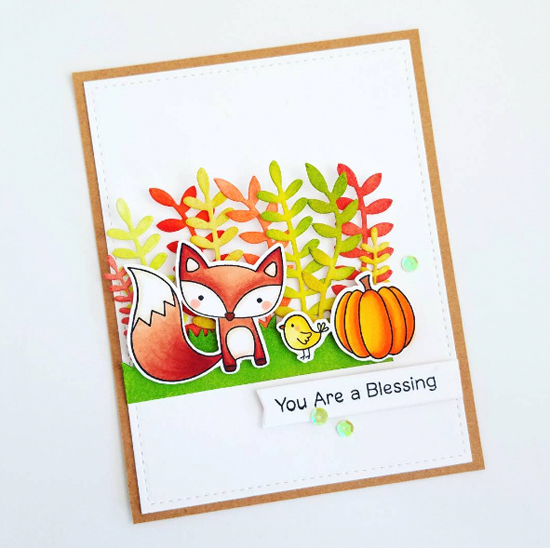 Color Challenge 55 was the impetus for this card from Amy Yang using our Fall Friends stamp set. Such a cute autumnal design! Thanks for using MFT, ladies! You've left us inspired, and that's what it's all about! See you tomorrow for another great Sketch Challenge, and look for the next MFT Color Challenge on Thursday, November 10th. Wonderfully talented designers worthy of being featured here. Thanks for sharing! Wow, thanks so much for sharing my card. Love all the other creations. Congrats to all! Awesome cards! Thank you! It's so nice, exciting and cool !!! This is awesome, thank you for sharing my card. Congrats to everybody else that got spotted.